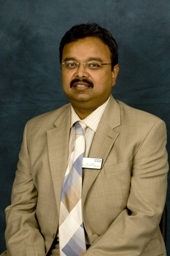 Mr Yajati Ghosh is a Consultant in Ophthalmology at BMEC, providing General Ophthalmology and Oculoplastic services in the hospital and the community. He is also the lead clinician for the Operating Theatre services. Having studied Medicine at Calcutta University, he did his basic Ophthalmology training in Calcutta National Medical College and Hospital. Thereafter he did Ophthalmology house jobs in the North of England rotations. He completed Specialist Registrar training with a subspeciality training in Oculoplastic surgery from the West Midlands Deanery. He gained comprehensive training in all areas of Ophthalmology, with particular emphasis on Oculoplastic surgery and trauma management as a post CCT Fellow in Oculoplastics at Manchester. He has performed over 3000 cataract surgery and more than 700 lid procedures, including about 100 blepharoplasties. He also has extensive experience in various types of laser surgery. His special interest is skin cancer surgery around the eyes and watery eye management. He has published over 20 papers in peer-reviewed journals and presented widely in national and international meetings. He has consistently audited topics of local and national importance. He is a keen cricketer and table tennis player. He enjoys good food but is hopeless at cooking.